After almost two years of investigation by the Securities and Exchange Commission, Overstock.com (NASDAQ: OSTK), also known as O.co, faces a possible enforcement action and sanctions arising from certain accounting violations reported in this blog. The company cannot deny that it violated various accounting rules. My accounting analysis was proven correct by its later revisions of financial reports. 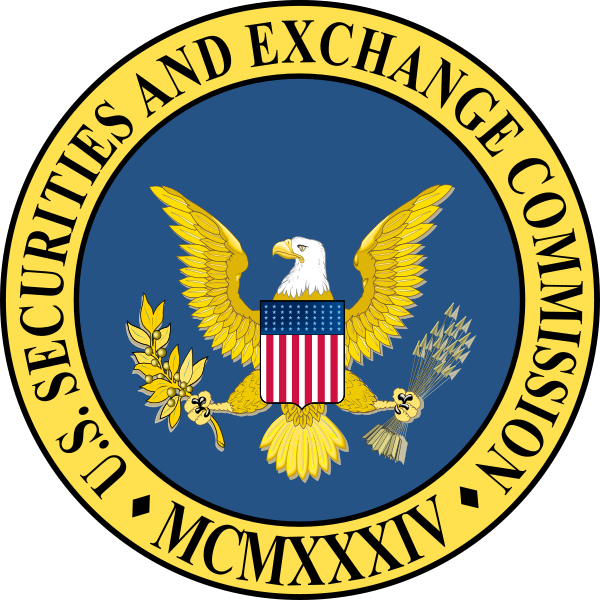 To avoid an enforcement action and possible sanctions, the company has no choice but to attempt to persuade the SEC that it acted in good faith and its misstatements of financial reports were unintentional. That excuse is simply untrue in light of the company’s actions. Over the last several years, I've reported on a pattern of accounting shenanigans which helped Overstock.com materially overstate its earnings. From Q2 2007 to Q2 2008, the company used improper EBITDA calculations to materially inflate its financial performance in violation of SEC Regulation G. From Q4 2008 to Q3 2009, it violated Generally Accepted Accounting Principles (GAAP) and materially inflated its reported earnings. In both cases, I provided the company with detailed information about its accounting irregularities, but its management chose to vilify me rather than immediately correct its financial reports. Even after Overstock.com revised its financial reporting, it still continued to smear me in retaliation for exposing accounting irregularities. If the company and its auditors want to claim they acted in good faith, it follows that this convicted felon and former CPA has more knowledge about SEC reporting rules and GAAP than any of them. I guess that I must be an accounting genius. I was able to find accounting irregularities missed by PricewaterhouseCoopers and Grant Thornton (the third and sixth largest accounting firms in the world) who unlike me, had access to the company’s books and records. PricewaterhouseCoopers was Overstock.com's auditors from 1999 to 2008 and Grant Thornton was its auditors from Q1 to Q3 2009. Further, the Sarbanes-Oxley Act of 2002 eliminates the excuse that a company relied on the erroneous advice of its auditors. It clearly places the primary responsibility for poor internal controls and improper financial reporting on management. Overstock.com has so far restated its financial reports three times due to GAAP violations. Every single financial report from 1999 to Q3 2009 had to be revised from one to three times due to GAAP violations. Every single internal control certification signed by the CEO and CFO of the company during that period turned out to be false. Every single audit by PricewaterhouseCoopers from 1999 to 2008 and review by Grant Thornton in 2009 turned out to be flawed. The Sarbanes-Oxley Act is a law to be enforced. Companies and their auditors who violate that Act must be held accountable by the SEC. Compliance is not a performance goal where violations are shrugged off by the SEC and where companies and their auditors who violate that Act are asked to do better next time. It's the law! The integrity of financial information is the main pillar underlying our capitalist economic system. It is not supposed to be the cat and mouse game that seems to be going on today between the SEC on one side and public companies and their auditors the other side. On December 11, 2001, Patrick Byrne appeared on Fox News claimed, “We're profitable.” On March 5, 2002, Overstock.com filed an S-1 report in connection with its planned initial public offering. It contradicted Byrne’s claim that his company was anywhere near “profitable.” In future years, Byrne’s deceptive behavior continued as Overstock.com resorted to violating accounting rules to materially overstate its financial performance and even report profits when it was actually losing money. In April 2004, Patrick Byrne appeared on the CNBC and said “I don’t believe in EBITDA. If somebody talks EBITDA, put your hand on your wallet; they’re a crook.” In 2007, Overstock.com changed its tune and starting using EBITDA in its financial reports. In February 2008, the company even said, “A multiple of EBITDA is currently the most standard measure of valuation in the industry.” With that admitted knowledge, the company used an improper EBITDA calculation to materially overstate its financial performance from Q2 2007 to Q2 2008. In Q2 2008 (period ended 06/30/08), Overstock.com reported a positive $1.117 million EBITDA using its improper calculation instead of a negative $0.430 million EBITDA had it complied with Regulation G.
During various conference calls, management made false comments in defense of its accounting policies and attacked me. On July 18, 2008, during the Q2 2008 earnings call, former CFO David Chidester falsely claimed that the company was justified in adding back stock compensation costs to compute EBITDA. He said “It’s completely the convention in our industry….” On October 24, 2008, during the Q3 2008 earnings call, Patrick Byrne falsely asserted that “The claim that EBITDA is not compliant with SEC definition, nonsense.” Byrne went on to call me, “Sam Antar the Crook. 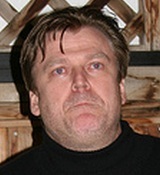 On November 7, 2008 Overstock.com filed its Q3 2008 10-Q and disclosed that it discovered errors in its accounting for customer refunds and credits. The company restated financial reports from Q1 2007 to Q2 2008 to correct those errors. In addition, it finally complied with SEC Regulation G and stopped calling its non-GAAP financial measure (operating income plus stock compensation) EBITDA. It warned investors that it was an “adjusted EBITDA” calculation. 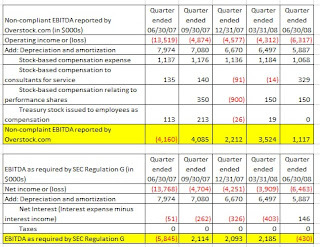 On July 26 and September 12, 2010, I reported how seven other public companies used improper EBITDA calculations and violated SEC Regulation G. Unlike Overstock.com, those companies corrected their improper EBITDA calculations in their very next financial report and did not attack me for pointing it out. In February 4, 2009, I detailed how Overstock.com violated GAAP and materially overstated its earnings in Q4 2008. In that quarter, Overstock.com improperly reported a net profit instead of a net loss due to its GAAP violation. It was the company’s first reported net profit after 15 consecutive quarterly losses. I immediately notified the SEC and Overstock.com about its GAAP violations and urged the company to restate its financial reports to correct its illegal accounting practices. 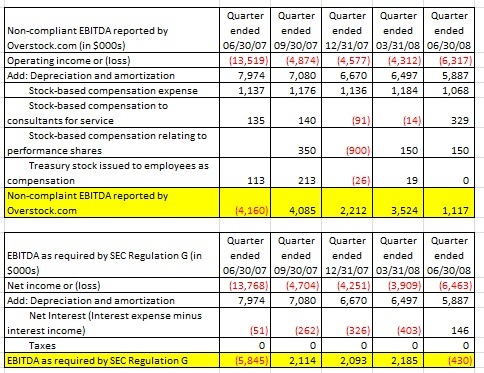 However, Overstock.com continued to violate GAAP and materially overstate its earnings from Q1 to Q3 2009. Back in October 2008, Overstock.com discovered errors in accounting for customer refunds and credits. The company restated its financial reports from Q1 2007 to Q2 3008 and reduced its retained earnings by 8.2 million to correct those errors due to its overstatement of income during those periods. It also underbilled its fulfillment partners certain offsetting fees and reimbursements due the company arising from those errors. However, Overstock.com’s restatement of financial reports did not properly reflect adjustments for income that it already earned from those offsetting costs and reimbursements during those periods. Public companies are required to use accrual basis accounting. Income is recognized in the period it is earned and not when it is later billed or when amounts are subsequently collected. Instead, the company recorded income as payments were received from its fulfillment partners on a non-GAAP cash basis in future accounting periods (Q4 2008 to Q3 2009). In other words, Overstock.com took income that should have been reported in prior reporting periods (Q2 2008 and before) and moved it to future reporting periods (Q4 2008 and later) to materially overstate its financial performance in those later reporting periods. The company effectively created a "cookie jar" reserve to inflate future earnings. In April 2009, Patrick Byrne sent his paid hack Judd Bagley to spread false information my divorce, attempted to blackmail me into settling that case, and even tried to contact my ex-spouse in an attempt to intimidate me. At about the same time, Judd Bagley created a Facebook profile under the name of Larry Bergman and proceeded to con people into friending him. The company’s pretexting operation targeted me, journalists, bloggers, our families, and even minor children, too. Eventually, Facebook booted Bagley for violating its rules. 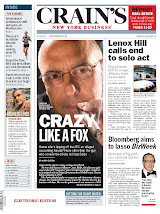 On July 22, 2009, during the Q2 2009 earnings call, Patrick Byrne called me “Sam Antar the Crook” because I dared to question his company’s claim that a "gain contingency" existed. On August 5, 2009, I published a letter to the SEC that cited various accounting rules and pointed out that “No gain contingency existed.” Overstock.com had made the ridiculous assumption that all potential recoveries of underbilled fees and reimbursements owed to it from fulfillment partners (every single penny) were “not assured”. In addition, I noted that the company did not mention the existence of a “gain contingency” when it originally disclosed the underbilling error in its Q3 2008 10-Q report filed in November 2008. It waited until it filed its annual 2008 10-K report in February 2009 to claim that a gain contingency existed. Further, I pointed out how Overstock.com used that same phony gain contingency rationale to further inflate its reported earnings in Q1 and Q2 2009. During 2009, the company found overbillings from vendors that occurred in 2008. When it corrected the 2008 overbillings from vendors in 2009, it inflated its reported income. It should have adjusted its 2008 financial reports to correct those errors. "Gary Weiss and Sam Antar are goniffs," Byrne declared, using a yiddish term that he says means "a con man, a hustler and a scoundrel." If the SEC is listening to them, their next step is to let Bernie Madoff write their indictment of me. Best-selling author and investigative reporter Gary Weiss had exposed Patrick Byrne’s dirty trick tactics against critics. Both Gary Weiss and I are Jewish. On October 1, 2009, the SEC Division of Corporation Finance started reviewing Overstock.com’s financial reports. It discovered that the company overpaid a fulfillment partner $785,000 during 2008. The company recovered that overpayment in Q1 2009 and improperly reported the overpayment recovery as income in that same quarter, rather than properly restate its 2008 financial reports to correct that error. Grant Thornton, who replaced PricewaterhouseCoopers as Overstock.com’s auditors in 2009, claimed that it did not know about the 2008 overpayment and the Q1 2009 recovery from the fulfillment partner until October 2009. The SEC wanted Overstock.com to restate its financial reports to correct that error and other GAAP violations previously identified in my blog. Grant Thornton agreed. The SEC reviewers also wanted to know why Overstock.com failed to report the existence of a gain contingency when it originally disclosed the underbilling error in its Q3 2008 10-Q report filed on November 7, 2008. The company waited until it filed its 2008 10-K report on February 23, 2009 to claim that a gain contingency existed. Overstock.com told them that as of November 2008 "...it would have been inappropriate to disclose a gain contingency." However, the 10-K report claimed that it determined that a gain contingency existed "When the underbilling was originally discovered...." back on October 24, 2008. If Overstock.com's 10-K disclosure was true, the company's explanation to the SEC could not be true. Likewise, if Overstock.com's explanation to the SEC was true, the company's 2008 10-K disclosure can't be true. 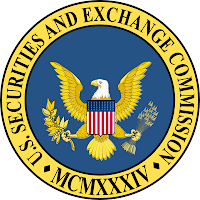 Nevertheless, the SEC determined that no gain contingency existed, as I did my August letter. On November 13, 2009, Overstock.com fired Grant Thornton rather than restate its financial reports. Three days later, Overstock.com defiantly issued an “unreviewed” Q3 2008 10-Q report without correcting its GAAP violations. On November 18, 2009, Patrick Byrne falsely claimed that even if the company restated its financial reports, no previously reported profit would turn into a loss. Byrne said, “In fact, we as I understand it, this doesn't change any positive quarter to a negative quarter or any negative quarter to a positive quarter. 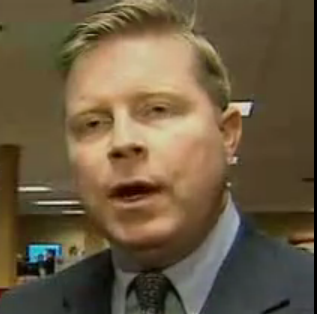 As it turns out, every comment made by Patrick Byrne and Jonathan Johnson were false. The company actually lost money in Q4 2008 rather than make a profit as previously claimed. Back in February 2009, Byrne said “Antar's ramblings are gibberish. Show them to any accountant and they will confirm. He has no clue what he is talking about.” The "gibberish" was Overstock.com's illegal accounting practices and Byrne's ramblings in defense of his company's accounting shenanigans. I knew exactly what I was talking about. With that, Sam Antar, still restrained in straightjacket, was hauled back to the Shower Room, where he spent the night toe-writing in excrement on the linoleum. Which would be altogether unremarkable, were it not for the fact that within hours, a Bloomberg reporter named Clyde Eltzrothis called, asking me to comment on it. It is not our job to host DA’s on a no-limits fishing trip, especially when they have not acted in good faith in the past. On May 18, 2011, Judge Robert B. Freeman granted the California District Attorney’s motion to compel Overstock.com to turn over the contact information of certain former employees. He rejected Byrne's argument. Responsible companies that act in "good faith" fix their accounting errors and move on. They don't retaliate against whistleblowers who point out misstatements in financial reports. Patrick Byrne doesn't seem to be upset that Overstock.com violated accounting rules and had to restate its financial reports. Apparently, he's upset because his company's accounting irregularities were exposed. Byrne's disgusting prison fantasy involving me demonstrates his obsession to get back at me for pointing out his company's shenanigans. Byrne and his crew will make up anything and resort to any smear tactic in their attempts to punish me for uncovering their wrongdoing. But the fact remains that I uncovered violations of accounting rules which helped Overstock.com overstate its financial performance and the company made revisions in its financial reporting to correct those violations. Here, the SEC has a whistleblower that correctly identified accounting violations which caused a public company to restate its financial reports. The SEC has clear evidence of blatant retaliation by the issuer against that whistleblower. 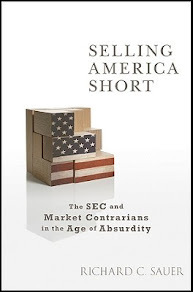 The freedom to criticize accounting practices without fear of reprisal from public companies is essential to our democracy and the integrity of our capital markets. It’s time for the SEC to put its money where its mouth is. The ball is in their court! There is a saying, "It takes one to know one." Today, I work very closely with the FBI, IRS, SEC, Justice Department, and other federal and state law enforcement agencies in training them to identify and catch white-collar criminals. Often, I refer cases to them as an independent whistleblower. In addition, I teach about white-collar crime for government entities, professional organizations, businesses, and colleges and universities. I do not seek or want forgiveness for my vicious crimes from my victims. I plan on frying in hell with other white-collar criminals for a very long time. My past sins are unforgivable. I do not own any Overstock.com securities long or short.